Cruisers are great all-purpose motorcycle goggles for kids and smaller-statured folk w/small heads. Lenses are UV-400 protected. 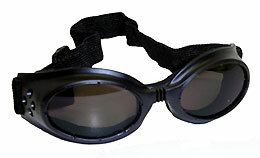 Goggles come with a free soft pouch.